James Garner’s biography revealed a lot about the man. He was a complex individual, not a cookie-cutter Hollywood type. Like all of the most successful television stars of the past, Garner was able to achieve the kind of rapport with the audience that revealed how much of an ordinary guy he could be. Johnny Carson, Jack Benny, Lucille Ball and James Garner all had that ability. They were able to connect with people. They had a kind of everyman quality and appeal that was universal. Sorely missing in the television line-up is the type of laid back character that Garner portrayed. Rockford kept his gun in the cookie jar and he didn’t seek violence as much as he was thrown into violent situations. He loved the thrill of the chase, which was all powerful when he began making The Rockford Files. And yet his character, JIm Rockford, didn’t crave fame and fortune. He loved simple things like fishing with his father Rocky, and living by the beach in a trailer. He was a kind of grown-up version of your favorite eccentric uncle, or perhaps an aging hippie/surfer dude. And Rockford went after information using his wits, his humor, and a style of private detective work that seems to have died with him. It’s interesting that they tried to revive The Rockford Files a few years back and scrapped the entire project before it aired. It turned out that James Garner was Rockford incarnate. There is talk of a feature film with Vince Vaughn, who may be able to pull it off. But James Garner was also the original Maverick in Hollywood and he became the one and only Rockford. No-one could replace this man with the common touch. Rockford was a man who knew how to fight using the power of his lungs and feet, and not the power of a semi-automatic gun. 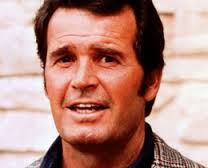 That was who James Garner was and why he was beloved.